Plenty of politicians have weighed in this week about whether the United States should welcome Syrian refugees, with many claiming that taking them in would heighten security risks. But one thing that's been largely absent from the conversation is how an influx of refugees could impact American culture. Some of the most prominent figures in American history and society were refugees, or the children of refugees, from various countries. It's impossible to deny the impact these figures have had, regardless of what you believe about the current situation with Syria. These people prove that the next great American can come from anywhere. Of course, Syrian refugees — especially orphaned children — deserve help no matter what they accomplish or don't accomplish in the future. But these figures are stark reminders that there are plenty of ways to define what it means to be an American icon. 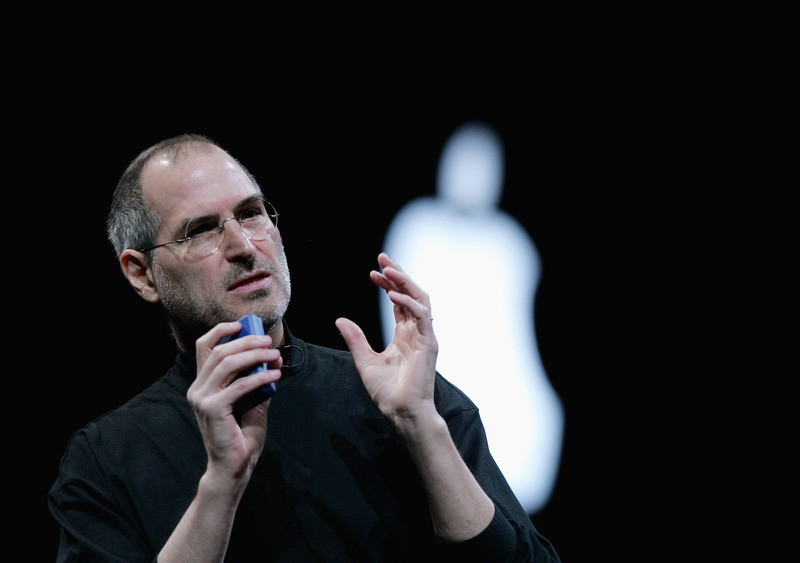 Steve Jobs' biological father Abdulfattah "John" Jandali was from Syria. Jandali fled during "protests and demonstrations that eventually toppled the president of Lebanon." Jandali met Jobs' biological mother, Joanne Carol Schieble, while studying in Wisconsin. The couple broke up before Jobs' birth — though they later got back together — and Schieble put Jobs up for adoption in San Francisco. He was adopted by Paul and Clara Jobs, and he went on to found Apple. Before she served as Secretary of State, Madeleine Albright was born Marie Jana Korbelová in Czechoslovakia. Albright's family fled to England during the Nazi invasion in World War II, before returning to Prague. But when the Communist Party of Czechoslovakia took over in 1948, the family sought asylum in the United States because Albright's father, Josef Korbel, was opposed to communism. Albright became the 64th Secretary of State in 1997. Einstein is widely recognized as an American genius, but many people don't know about his life in Germany before he moved to the United States. As a Jewish person living in Nazi Germany, Einstein was accused of treason, and his books were burned. He eventually moved to the United States and became a citizen. Marlene Dietrich, known for her roles in films like Shanghai Express and Blue Angel, left Germany to become an American citizen in 1939, when Nazism was increasing in popularity. According to the Office of the United Nations High Commissioner for Refugees, German news outlets called Dietrich a traitor, and a group of Nazis sent her sister to a concentration camp. "I was born a German and shall always remain one ... the United States welcomed me when I no longer had a fatherland that deserved to call itself that," Dietrich later wrote in her memoir. Rafael Cruz came to the United States from Cuba more than 50 years ago to flee an oppressive regime, but Ted Cruz doesn't want to give Syrian refugees the same chance. "America, quite simply, saved my father. America gave him a chance … The freedom of America was the dream that allowed him to endure the brutality of Cuba. It was and is a beacon of hope for all those who, like him, have endured oppression," Cruz wrote in his memoir. But apparently, that beacon of hope only extends to Christians who come to America to flee oppression. These American figures show that you can't assume something about someone just because they're a refugee. A handful of U.S. governors have already recognized this, and are welcoming Syrian refugees to their states. Maybe remembering figures like Jobs and Albright will encourage more politicians to do the same.